E is obsessed with Toy Story. OBSESSED! We have all the movies, all the action figures, the books. You name it and we probably have it. You would think the writers of Toy Story would have given the main characters better names. You see, no one calls them by their full names, Buzz Lightyear and Sheriff Woody. No, we all shorten it to Buzz and Woody. And when you live with a man who you often wonder if he’s still 12, the jokes never end. For example, the day after E’s birthday, we went out for ice cream with family. They were asking E about his birthday and what he got. E replied “a buzz and woody.” Without missing a beat, the hubster said “Sounds like a great birthday to me!” He thinks he is so funny. I usually can brush off his “that’s what she said” jokes. That is until I embarassed myself in Borders. E was throwing a fit because he wanted to buy a Sheriff Woody plush “action figure.” Everytime I told him no, he would scream even louder. Finally, I said to him, “We aren’t buying it. You have a big Woody at home.” But you see, no one can see that capital W over there. As soon as the words left my mouth I thought, “Oh God, I hope no one heard me.” I looked up and the cashier (a man, by the way) was beat red. The hubster’s grandmother who was out shopping with us was trying to hide her laughter. I must admit looking back at that incident, I think its high-larious. But at the time, I was mortified. 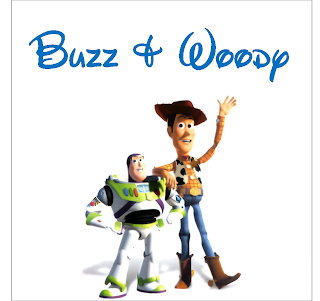 And that is why I call them by their full names, Buzz Lightyear and Sheriff Woody. Hehe I've never thought about this before. I'm sure it was done on purpose though! Too funny!! My daughter is obsessed with Toy Story also. She recently got a Barbie called (I kid you not) Barbie Loves Buzz. There was also one called Barbie Loves Woody. Seriously?!? Couldn't they have come up with better names?? I like the fonts you use where did you find them, please? LOL! Big Woody….I'm dying over here! Sheriff Woody around here these parts…. They do think of better names. 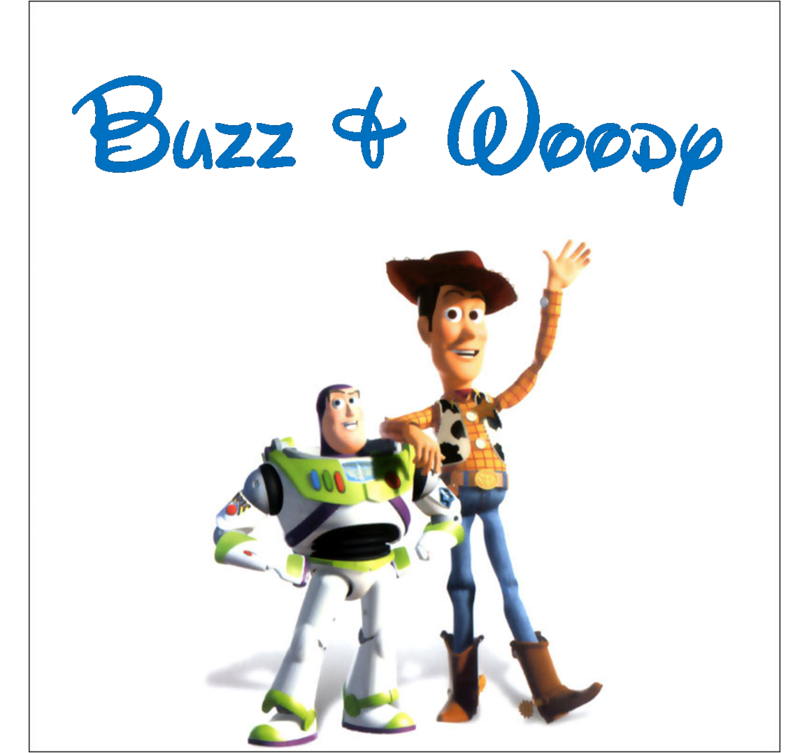 We were out for dinner one night and my son is obsessed with toy story and I mentioned something about woody and my mother in law was shocked she didn't realize it was the name of the character and thought I was talking about somthing else.